The Resort at Squaw Creek Condos is a luxury mountain resort development located in the Olympic Valley community, which was home to the 1960 Winter Olympics! If you love to ski, golf, hike, bike, play at the lake, and just being outdoors enjoying the mountain lifestyle, you may want to make the North Lake Tahoe your second home destination too! The North Lake Tahoe – Truckee region, which includes the Olympic Valley area, offers area residents and visitors year-around sports and activities. If you love winter sports, then you’ll appreciate our world-class downhill skiing, cross-county skiing, snowboarding, ice skating, snow shoeing, and just the pure joy that comes from playing in our Sierra snow. 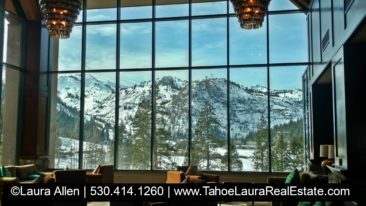 If you are a luxury Tahoe condo buyer and you don’t want to deal with any of the details that will come with condo/second home ownership in our area, and you are looking for professional management and recommendations, then you should consider condominium ownership at The Resort at Squaw Creek. Owning a condo-hotel is the perfect combination of hotel services and on-site support for home ownership. Use your unit exclusively, or take advantage of the on-site vacation rental company and enjoy the best of both worlds – owner use and generating income when you aren’t using your luxury unit. The Resort at Squaw Creek offers a concierge-style luxury resort experience with valet service, downhill ski-in and ski-out facilities, cross-country skiing, ice skating along with access to a year-around out-door heated swimming pool, in-ground spa/hot tubs. While the Resort at Squaw Creek is known for it’s winter ski-in and ski-out facilities it is also a great place to be to enjoy our amazing Tahoe summers. Golf anyone? Enjoy the 18-hole Robert Trent Jones, Jr. designed golf course, tennis courts, or just hanging out at the pool and soaking in the sunshine and scenary. Don’t forget there is always the complimentary shuttle service to the Village at Squaw Valley (no parking frustrations here) for more recreational, dining and shopping options, not to mention the fun seasonal summer festivals that happen through-out the summer and fall season. 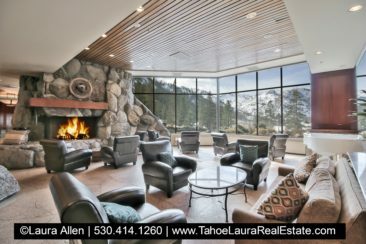 So many options and choices makes the Resort at Squaw Creek a top choice for the Tahoe condo buyer that is looking for a first-class experience. The Resort offers ease of ownership. A benefit of being located in a condo-hotel resort setting you’ll have access to restaurants, bars, shops, professional day spa, and the option for room service (a favorite option of mine that very few developments offer in our area). 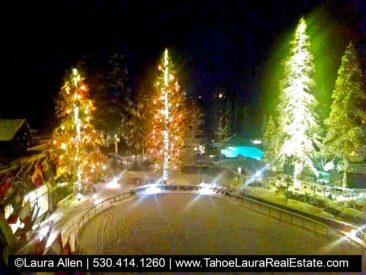 A common Tahoe Buyer mistake is to over-look the Resort at Squaw Creek because of the higher monthly Home Owner Association (HOA) fees for each unit. In order to make a fair and complete analysis of HOA fees and true ownership costs, you must complete a full comparison of all fees that a condo owner will incur from one complex to the next. Most HOA fees are not all-inclusive and do not include all of the additional on-going costs to operate a unit, but the Resort HOA total fee does include utilities and other critical services. The Resort HOA total combined monthly fee includes gas, electric (heating and air conditioning), Internet, Cable, water, sewer, garbage, the list goes on and on, along with the amenity fee. The monthly HOA fee for the Resort at Squaw Creek, when compared to other developments may offers a better value for the type of ownership and lifestyle experience you are hoping to enjoy. Luxury condo buyers need to take into account the value of staff and support, and year-around amenities like the year-around out-door heated swimming pool, in-ground spa/hot tubs, not to mention the luxury vacation resort experience of being able to get away from the every day grind and fully enjoy the Squaw Valley and North Lake Tahoe recreational experience that our area offers. The Resort at Squaw Creek Condominium Development has approximately +/-405 units, and the development is located at the east end the Olympic Valley community. The Resort setting offers spectacular views of the entire Squaw Valley area including the Squaw Valley Ski Resort at the West end of the Valley. 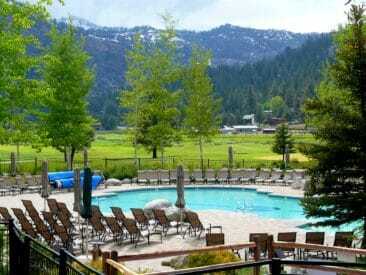 In the summer, The Resort at Squaw Valley owners enjoy being just minutes from Lake Tahoe and the Tahoe City area. While our summers are very comfortable, our days will be hot and for those looking for properties with air conditioning, this is one of the few condo developments that has air conditioning in all units. The Resort at Squaw Valley has several different floor plans from a studio unit (hotel bedroom), one (1), two (2), and three (3) bedroom configurations. The Resort at Squaw Creek offers has a large main lobby area with plenty of seating and a fireplace. They also have shops, restaurants/bars, along with many recreational activities. The Resort at Squaw Creek continues to invest in their facilities and many unit owners just completed a refurbishment (optional refurbishment paid for by the individual unit owners – many out of their rental FF&E accounts). For a two (2) bedroom unit that expense was around $30,000 to give potential buyers an idea on the commitment many owners have recently made into their units that elected the update. 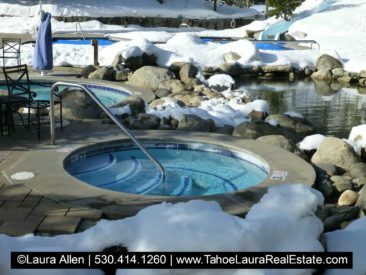 The Resort at Squaw Creek offers condo owners a great combination of luxury support and service with a wonderful Tahoe resort life-style. Health and Fitness Center with men and women locker rooms with separate dry saunas and steam rooms. Two (2) Bedrooms, Living Room w/Fireplace, and 2 Bathrooms (Size Varies +/- 1,025 sq. ft. to +/-1,202 sq. ft.) This is a combination of a Studio and One Bedroom floor plans. Two (2) Bedrooms, Living Room w/Fireplace, and 2 Bathrooms, two levels on the Penthouse level (Size Varies +/- 1,025 sq. ft. to +/-1,202 sq. ft.) This is a combination of a Studio and One Bedroom floor plans. Includes Washer/Dryer. Three (3) Bedrooms, Living Room w/Fireplace, and 3 Bathrooms (Size Varies +/- 1,454 sq. ft. to +/-1,786 sq. ft.) This is a combination of two (2) Studios and One Bedroom floor plans. Note: Units can be a stand-alone, or a combination of several units. If you see more than one unit number, then there are multiple units and owners can use one unit, while still renting out the other unit(s). They can also have one large unit by just unlocking the adjoining doors between the units. Some units may have one Assessor Parcel Number (APN), but some multiple units may have multiple APN numbers. Most units have a mini-kitchen, but there are a few units that do have a full kitchen. A few units (penthouse) have a washer/dryer in the unit, but almost all of the units do not have that appliance. Most units are single floor living, while the penthouse units are two levels. Elevators are in the owners’ building, along with staircases. Odd Number Units are on the back-side of the building and even number units are on the front side of the building. Built in: 1990/1991 with a current $50 million renaissance improvements being made in the development. Prior to this current improvement project, the entire complex had a major renovation completed in early 2000’s when the complex was converted into the current condominium owner configuration. Most likely, potential loan lenders will consider the Resort at Squaw Creek as a “condo-hotel” and they may not have a loan program for this type of property. On-site Property Management – Vacation Rental Option for Owners, which is operated by a third party (Destination Hotels and Resorts) and located in the lobby area of the main building housing the restaurants, bars, convention facilities, and larger recreational facilities. Owners are NOT required to be on the Vacation Rental Program through The Resort at Squaw Creek Management Company. Pets Allowed – See owner rules for more information. Building/common area insurance, maintenance, management, applicable personnel. HOA fee covers just about everything for an owner, so if you are comparing the total monthly assessment (HOA and Amenity Fee) against other similar properties, you’ll need to add in the cost of all monthly utilities so that you are apples-to-apples on cost to compare units. Owners only – free valet parking (renters/friends/family members pay for valet). There is no charge for self-parking. Additional items: restaurant(s), room service, bar(s), golf, skiing, cross country skiing, fly fishing, conference facilities, shopping in the shops, spa/spa services, fishing, ice skating just to name a few items/services that will be extra expenses. If something breaks in your unit, you will be billed to fix it. HOA Mandatory fees are not a flat fee per unit, but rather a sliding scale and the monthly fee is based on a formula that the HOA has developed and varies based upon the square footage/number/number of bedrooms/bathrooms. HOA Fee is made up of two parts – The Monthly Homeowners Association fee and the Monthly Amenity and Service Fee: Fees vary based upon the size and floor plan/configuration. HOA Unit Refurbishment (2015): Owners had the option (voluntary) to participate in the recent room refurbishment of their units. Depending on the size of the unit owners paid between approximately $10,000 to $50,000. Owners that wanted to stay on the on-site vacation rental program needed to complete the renovation. If owners were on the rental program their refurbishment was paid out of the FF&E (Furniture, Fixtures & Equipment) accounts. Owners that did not complete the voluntary unit renovation/update, as a new owner if you want to be on the on-site rental program you will most likely need to make updates to your unit to be eligible to get on the program. You’ll need to work with the rental group to make sure your unit meets their rental standards. One of the benefits of owning at the Resort is having the management put together a complete renovation package, selecting linens, furniture, and making suggestions that will have long-term value. A professional team assembled for you that only requires owners to say yes, or no! If you are on the vacation rental program and use the unit as an owner, you will be charged a cleaning fee that will be in addition to your monthly fees. *Denotes an Additional Fee is Required for use/purchase. The Resort at Squaw Creek is not all owned by the condo owners. The condo owners own just the high-rise building that their individual units are located in. The rest of the facilities – golf course, convention/restaurants/bars/shops, ski mountain, ice skating rink, fly fishing are owned and operated/managed by a third party (Destination Hotels & Resorts). The condo owners have a working relationship with the operator of the resort and both groups benefit in sharing the luxury Tahoe resort-style experience. Marketing, along with other fees that are incurred with the on-site rental programs. Owners are asked to have a FF&E account for future refurbishments, which means you are putting money away for future unit improvements on an ongoing basis. Gross Rental Income: Potential Rental Income will be impacted by how much an owner uses the unit, especially during peak demand times. Expect seasonality in demand and use by vacation renters. Owners on the rental program will have to pay a cleaning fee after they use the unit each time. The actual cleaning fee will vary depending on the size of the unit. Owners will have to pay for a phone land-line in the room – additional expense. Owners do receive special discounts on services within the resort that use the on-site rental program. Owners are periodically charged for new linens, and will need to keep the unit in top condition for vacation rentals (fund a refurbish and replacement account). 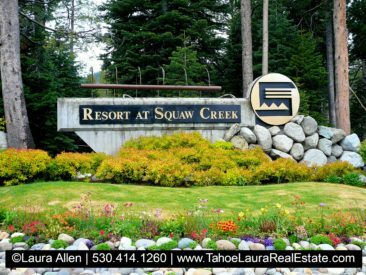 If you already own a condo in The Resort at Squaw Creek development and want to know what your property is worth, call me 530.414.1260 for a confidential consultation. 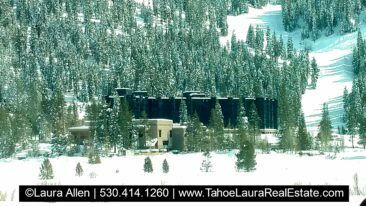 Need more help in trying to figure out your North Lake Tahoe and Squaw Valley condo buying options? Do you want help figuring out the HOA fees and which condo development will best meet your needs? Call me at 530.414.1260 and I can help you find the right place to buy!